Our next-generation smart security alarm systems offer you an advanced, tamper-resistant technology with the single most reliable communications network around so you can be confident in the safety of your home or business, every day. Thousands of customers in Louisiana can’t be wrong. Protect your home or business with an advanced touchscreen wireless security system, high resolution IP camera system, and a home security company you can trust. 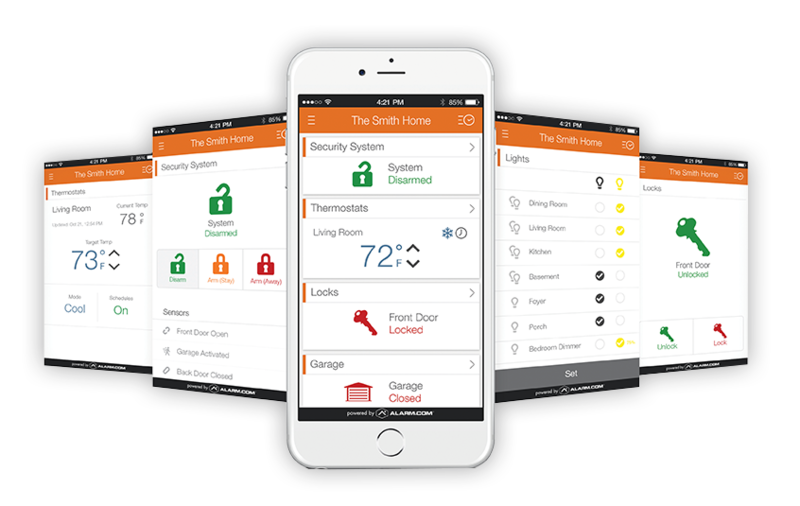 With the added functionality of the Alarm.com app, having remote control and monitoring of your home or business from your smart phone has never been easier. Let us protect your property with our ULTRA FAST response, and local Baton Rouge monitoring. Emergency Alert Security is the right choice. Trusted throughout Baton Rouge, we have been protecting both homes and businesses since 1998. Emergency Alert Security assures our clients’ security with state-of-the-art security systems that provide protection 24 hours a day. We offers burglar alarms, carbon monoxide detectors, smoke detectors, cameras, and automation for homes and businesses. Our revolutionary security and home automation service, powered by Alarm.com, enables you to always know what’s happening at home. With alert notifications, video monitoring, and interactive security, you’ll have confidence knowing that the people and things you love will stay safe. Find out how to get your home or business security system installed by one of Louisiana’s most trusted alarm and security companies, and call us today!